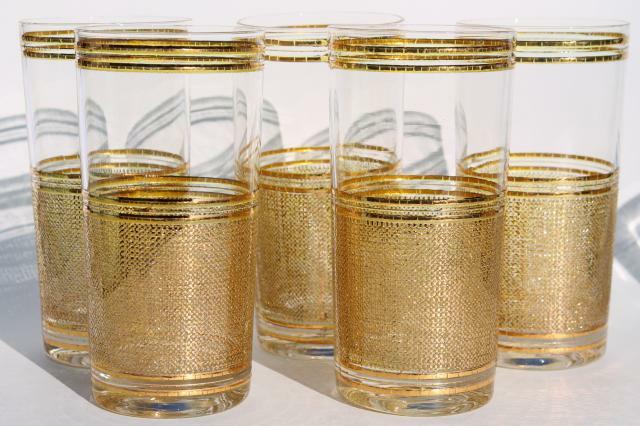 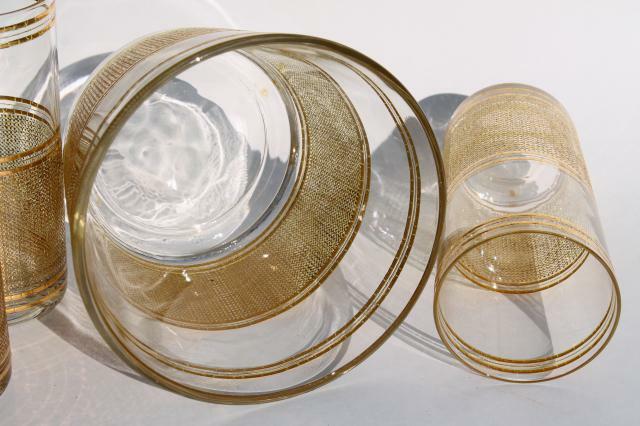 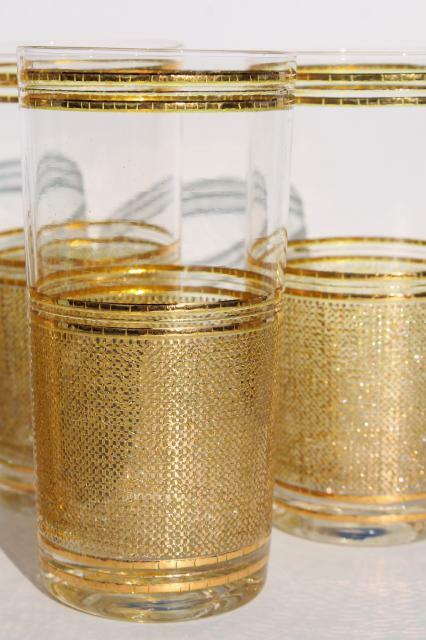 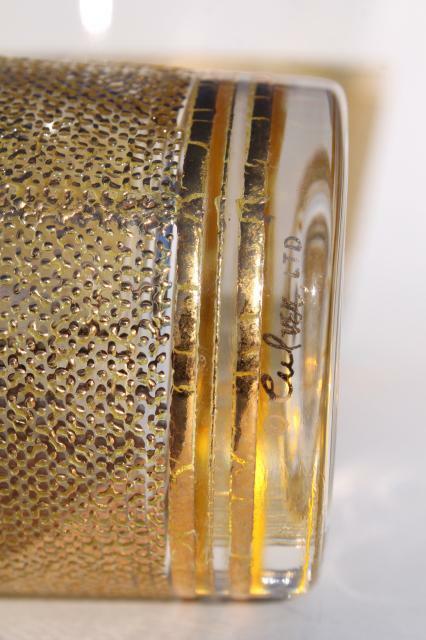 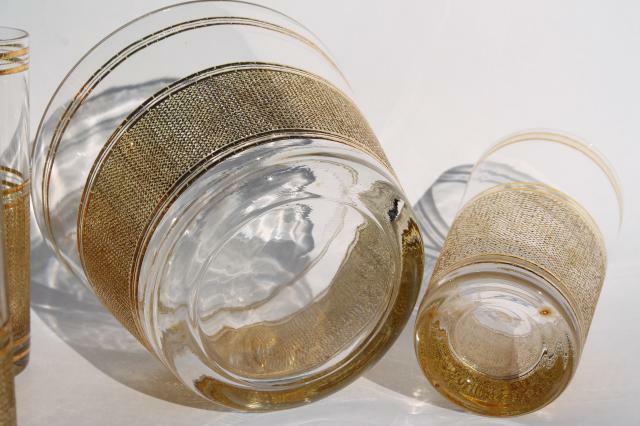 Vintage Culver glass barware with textured gold design and gold bands. 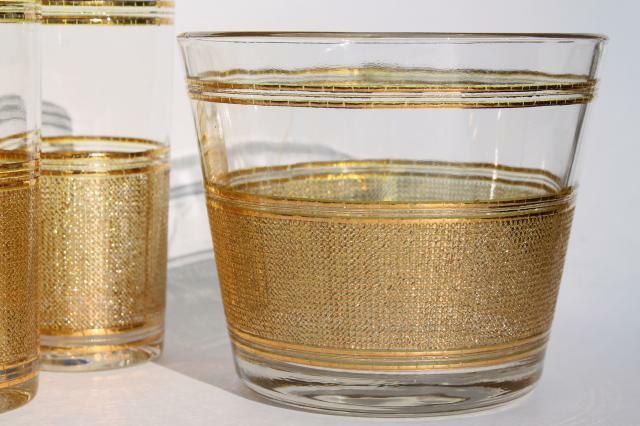 We don't know the pattern name, this seems to be a little hard to find! 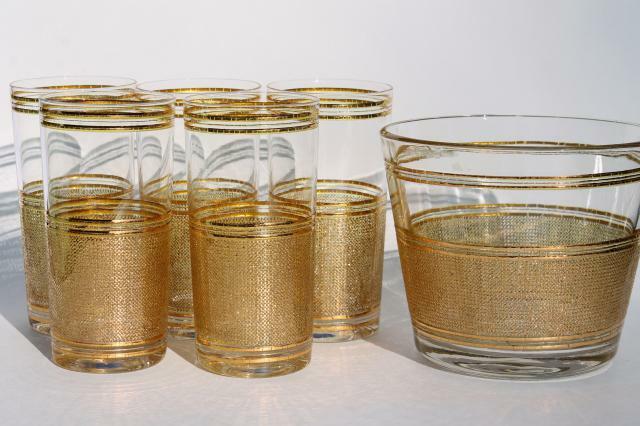 There's an ice bucket (about 6" diameter x 5") and five highballs (about 5 1/2" tall) in this set, used but in good condition, just a little wear to the gold.